I'm new to FCKEditor (2.6.1). I got error with the default editor my test (ColdFusion) app. It is showing two different control with in the same page. I found that while i am trying to run the sample html pages, those page also showing the same problem. 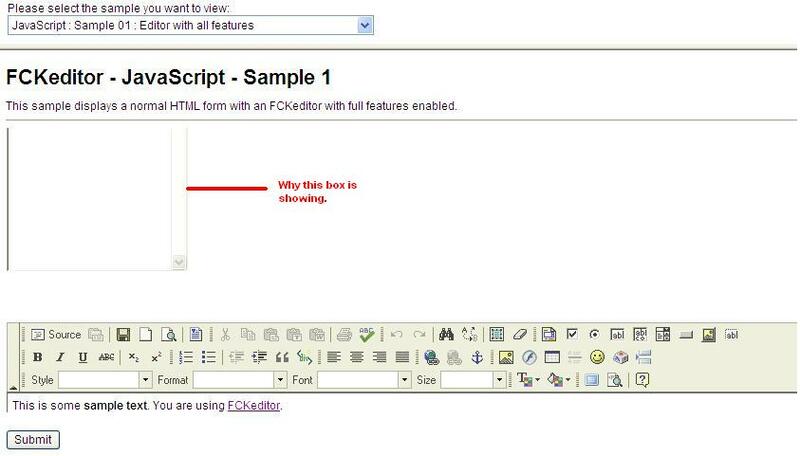 Error when configuring the fckeditor with in the coldfusion.